We had a few hangers on while we ate our lunch in Procida. Most of us chose seafood of some kind, and it drew them like a magnet. When they found out we weren’t going to share, they either went off for a snooze in the sun, or tried out their wiles on other diners. I think this cat might be related to the one in the first 2 photos. This non-demanding post has been brought to you Katz Inc. 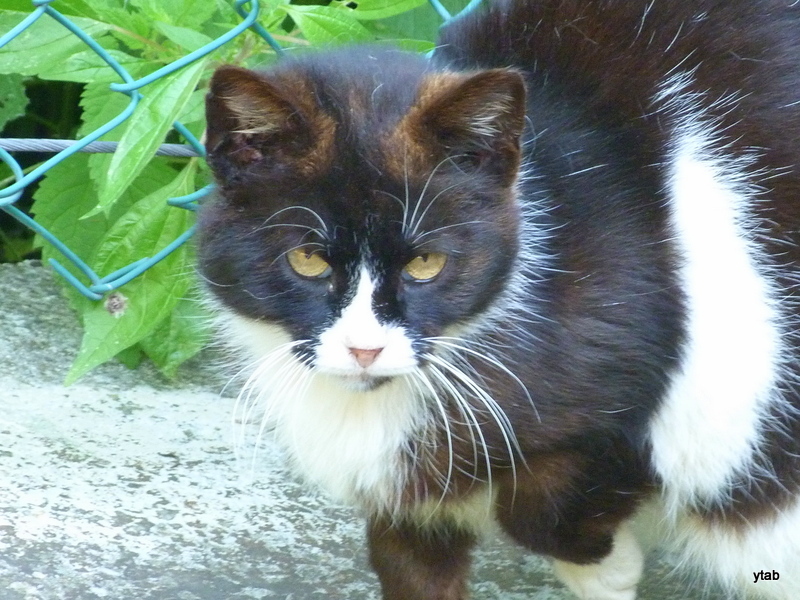 There is quite a large colony of cats in the courtyards of the Civic Hospital in Venice. They all look healthy and well nourished. This black warrior was stalking a bird, but I think his rather rotund belly stopped him from the full attack mode he had in mind. This pretty cat just sat and watched the black fellow. Then she melted into the rubbish in the background. 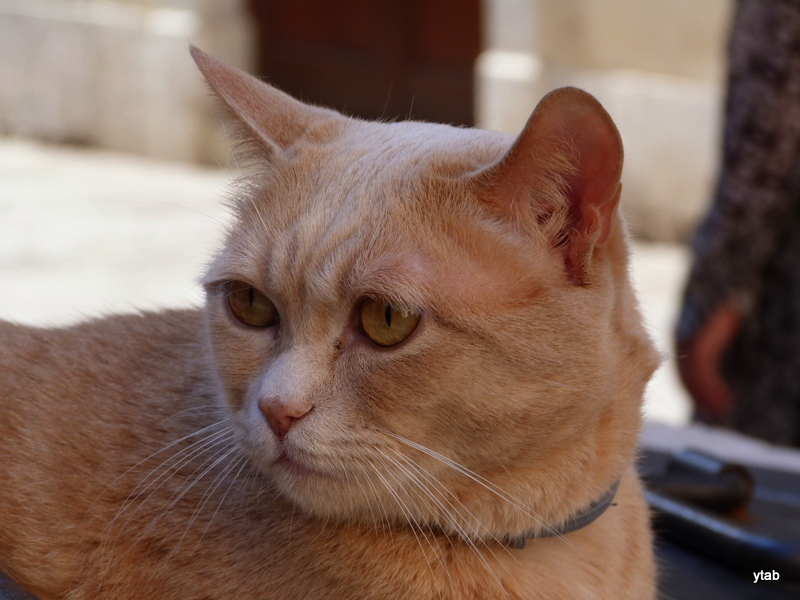 And, this attractive cat gave me that “What do you think are you doing” look cats do so well. 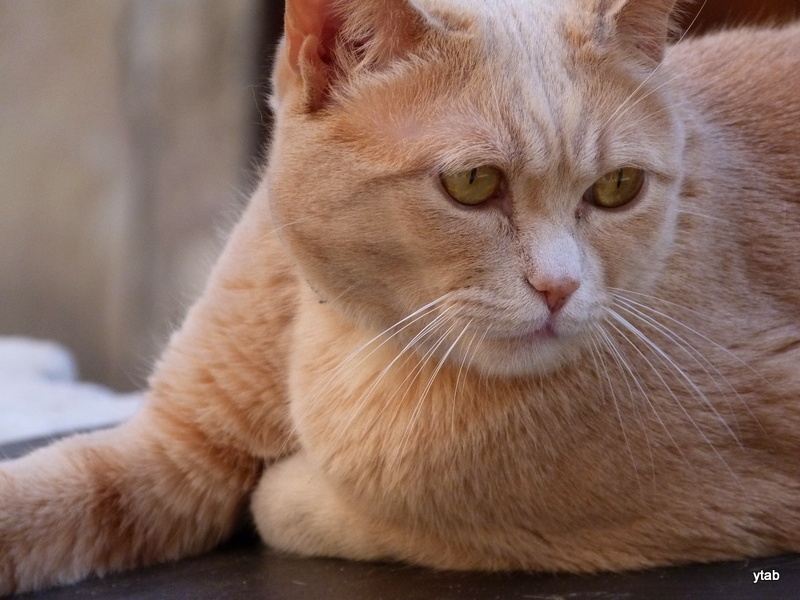 I wonder how many generations of cats have prowled the courtyards of the hospital, keeping it free of rodent pests? Now, I could be wrong, but something tells me the owners of this apartment I’m renting might be cat lovers. Clue Number One: there are many books about cats in their library. Clue number two: the state of the arm on this otherwise lovely chair. 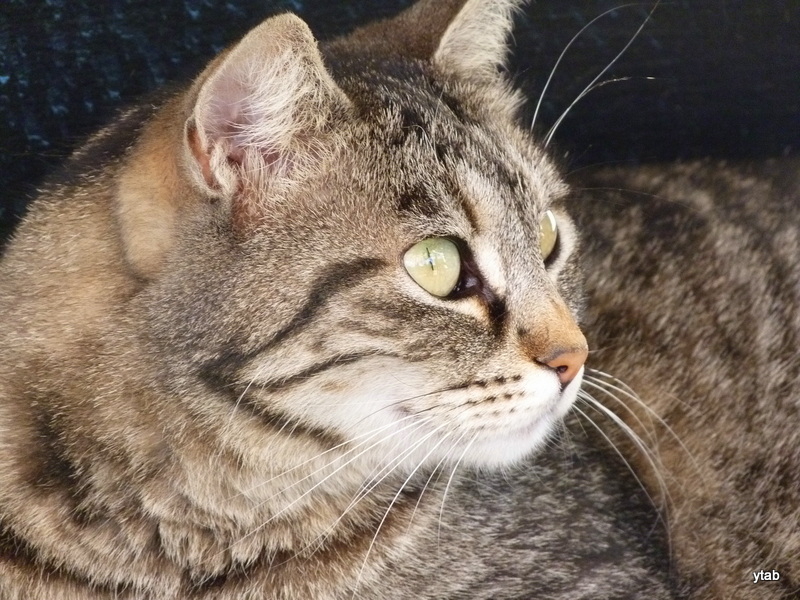 Most cat owners will recognise how a cat has loved this arm to pieces with its little claws. This morning, under a benign sun, many Babbi Natale (Santas) rowed down the Grand Canal. The number of participants seemed fewer than previous years, but they all looked happy to be out there rowing. 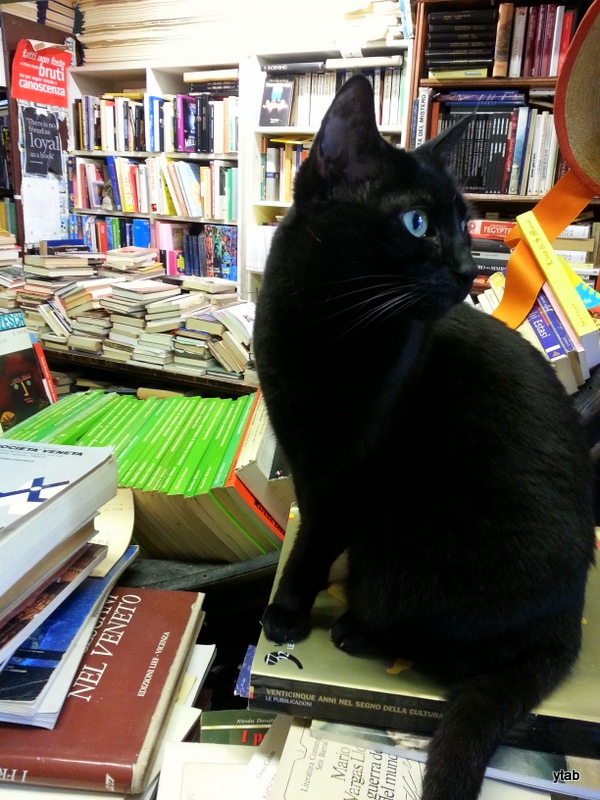 In the Libreria Acqua Alta, self proclaimed by the owner Luigi Frizzo as the most beautiful bookshop in the world, dwell some well loved cats. For some people, they might well be the main attraction in this crowded, shambolic shop. 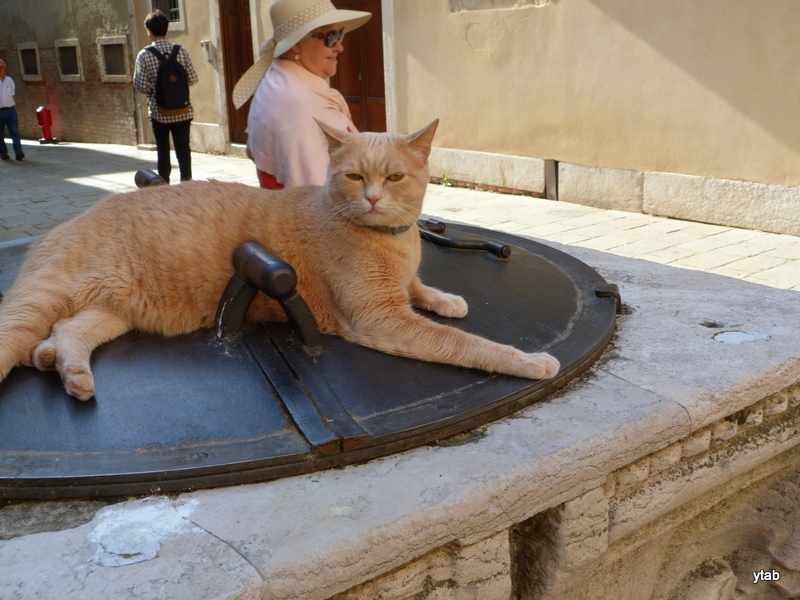 You can find Luigi, his books and cats in Calle Lunga Santa Maria Formosa, Castello. Those pesky tourists got me on a train and wouldn’t let me off until we hit a town named Udine. It turned out the female of the pair has some Italian relatives nearby, who insisted we eat and drink and laugh and talk. They also tended to photo-bomb at every opportunity. It must be a genetic trait. Well, every cloud has a silver lining. 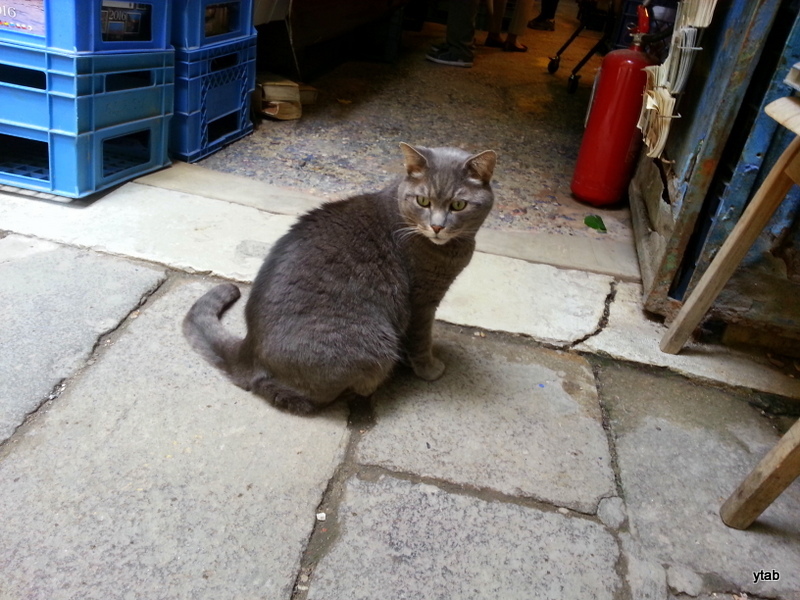 We saw some lovely cats who would pose for about 5 euro a shot (or some treats, whichever was convenient for us). So here you go, the obligatory cute cat photos. This cat belonged to our hosts for the weekend. Her name is Ghia. 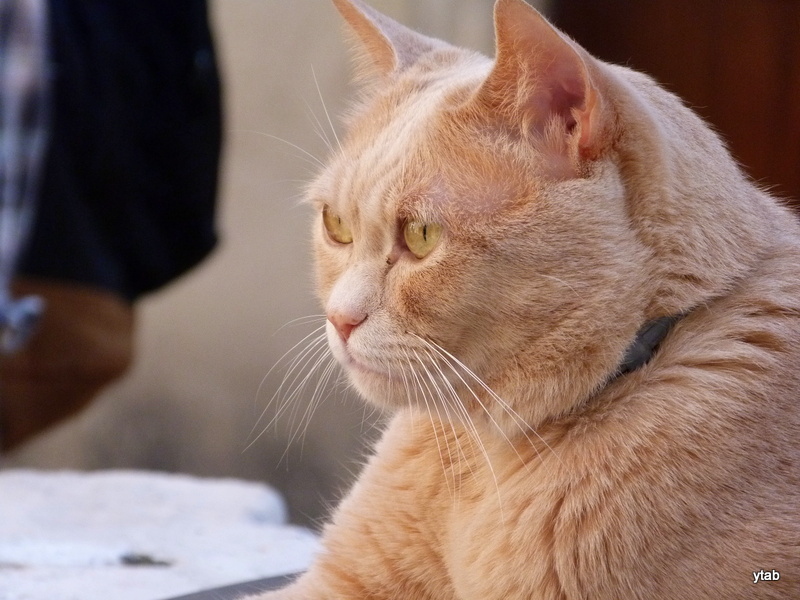 And, this was a cat we encountered in Udine. It seemed to have a sore front paw.